RUDY TRIXX, who have impressed with live sets at Electric Picnic and Body&Soul, will be the first band to play at a new series of live band/DJ gigs in Kelly’s Bar. The nights, entitled MITCH PRESENTS @ KELLY'S, starts this Thursday and are organised by Mitchell MacDonald. They will feature live shows from breaking or established bands, followed by different guest DJs from across Ireland. Rudy TrixX play from 10pm to 10.40pm. 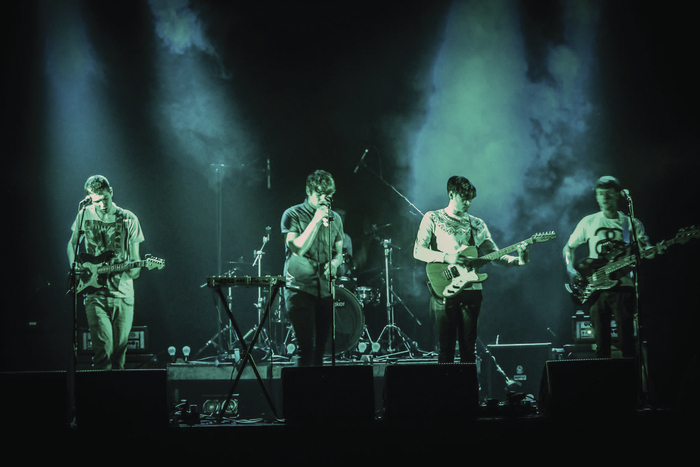 The band are due to release their debut EP in the coming weeks; they have been selected for the Budweiser Future Sounds Of Irish Music and Whelans Ones To Watch 2014; and have also recorded with respected producer Rob Kirwan (Hozier, Depeche Mode ). Rudy TrixX will be followed at 11pm by house and techno DJ set from Galwegian Dylan Thomas (pictured above ), who has performed at the Sea Sessions, Life Festival, and Longitude. There will also be a 'Housegangster-esque' DJ set from Mitch (pictued above ) a resident DJ of Groove and Shake, who DJs in Kelly's, The Blue Note, Electric Garden, and The Academy in Dublin. He has also performed at the Middle Earth and The Swell festivals. Admission to the night is €3.